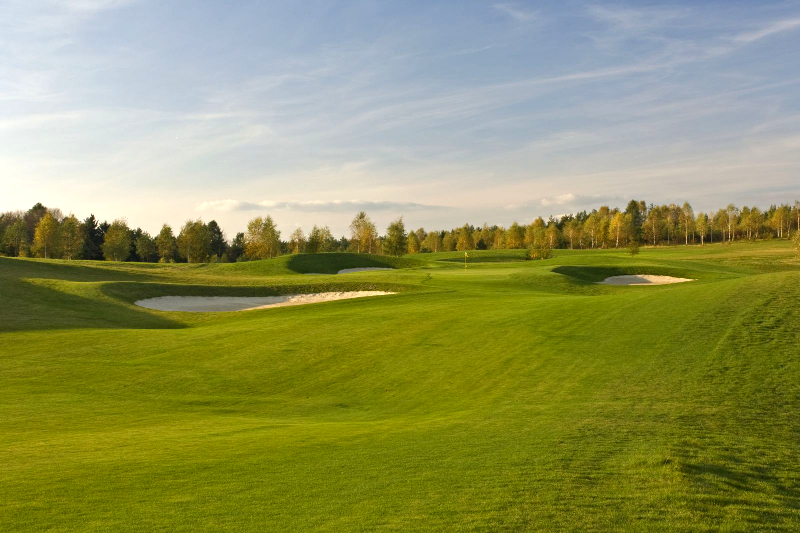 Krakow Valley Golf & Country Club, a golf complex covering an area of 160 hectares, has been created in recent years in Paczółtowice, a small village between Kraków and Katowice. It was designed by Ronald Fream, an American from California who started his career in 1966 in the team of legendary Robert Trent Jones. Those of you who have already visited Golf de Disneyland Paris or Golf de I’Isle – Adam in France, where Ronald Fream brought his visions to life, doubtless retain their impression of their magic and professional character. 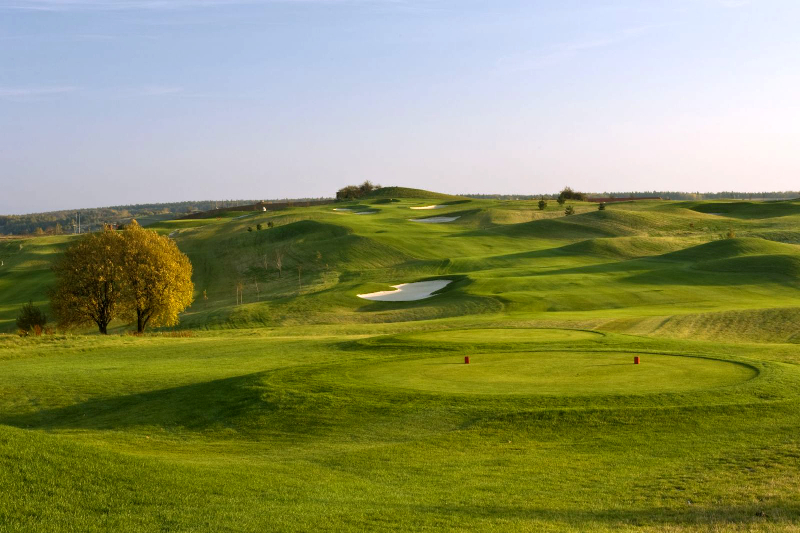 Royal Krakow Golf & Country Club - Only 18km east of Kraków’s world famous Rynek Glowny (Main Market) and the Wawel Royal Palace, lies Royal Kraków Golf & Country Club in the village of Ochmanów, between Wieliczka and Niepolomice. 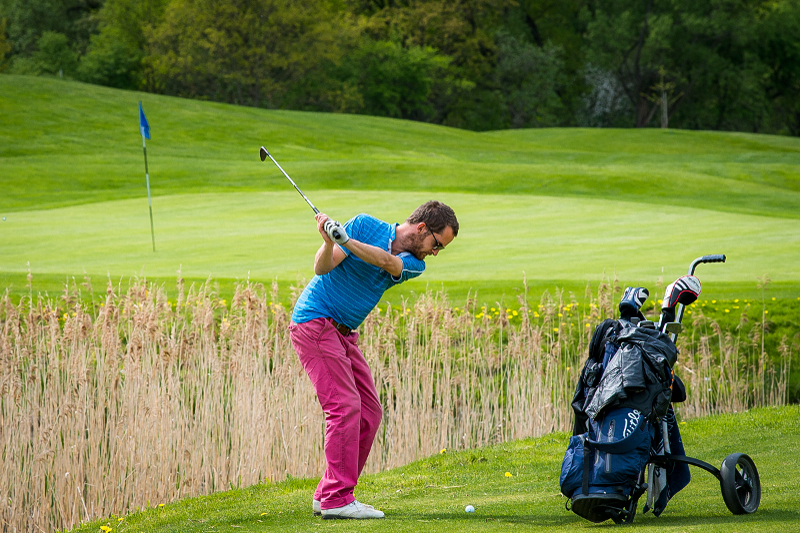 It offers the nearest place to play golf in Kraków. Located in the hills of ‘Puszcza Niepolomice’, the former Royal Hunting grounds of the Jagielonian Kings, who also built in 1370 the Royal Hunting Palace in nearby Niepolomice. 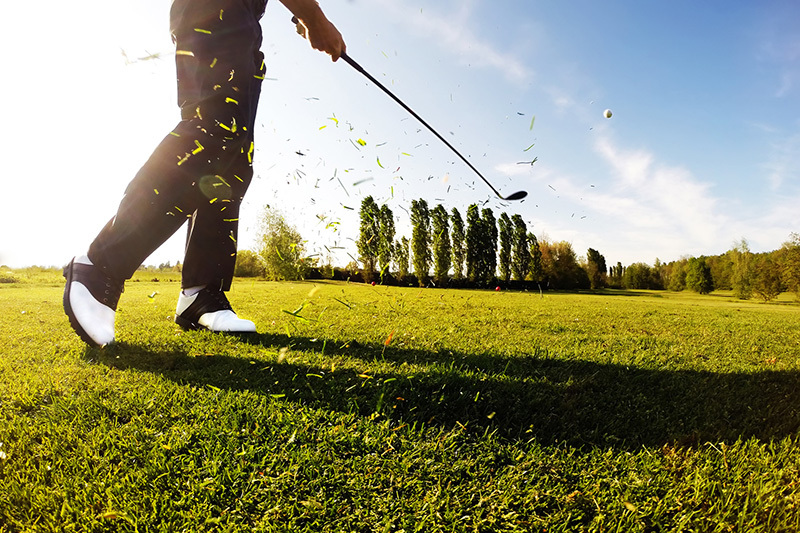 It is an interesting course for both beginners and keen golfers. Modry Las a naturally beautiful golf course in northwestern Poland, an area known for its rolling countryside, pristine lakes and virgin forests. 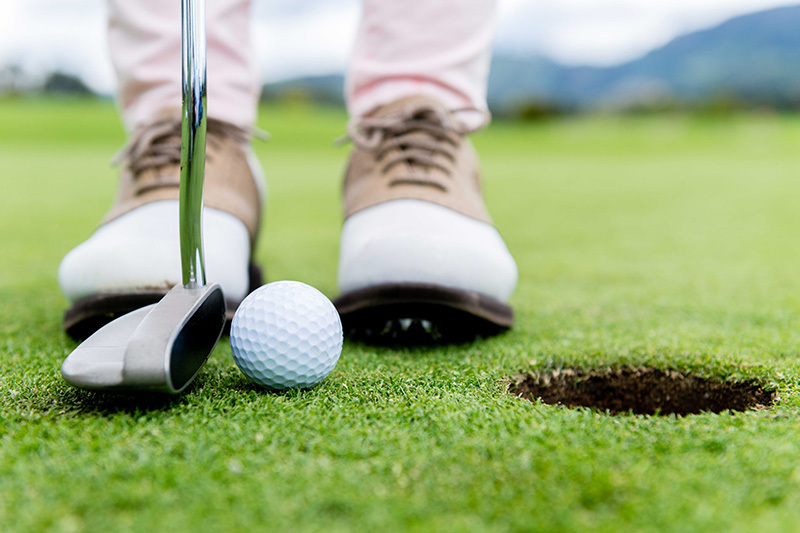 The 18-hole championship course is the first to be designed by Gary Player in Central Europe and opened in 2008 as a private golf course that is open to the public. 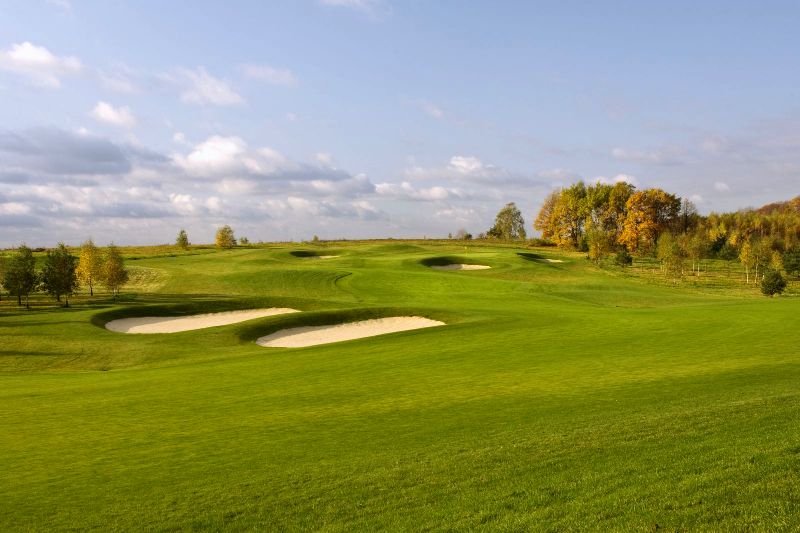 Host to Polish PGA tournaments, it is destined to define world champions. Modry Las (which in Polish suggests the blue-green color of the abundant pines in the area) was built on 321 acres (130 hectares) of gently rolling terrain, nestled between an oak, pine and birch forest and the untouched, spring-fed Raduń Lake. The course winds along the lake’s edge and stretches around ponds, streams and fields of wildflowers. Fairways are marked by breathtaking stretches of landscape and strategically placed signature Gary Player bunkers. 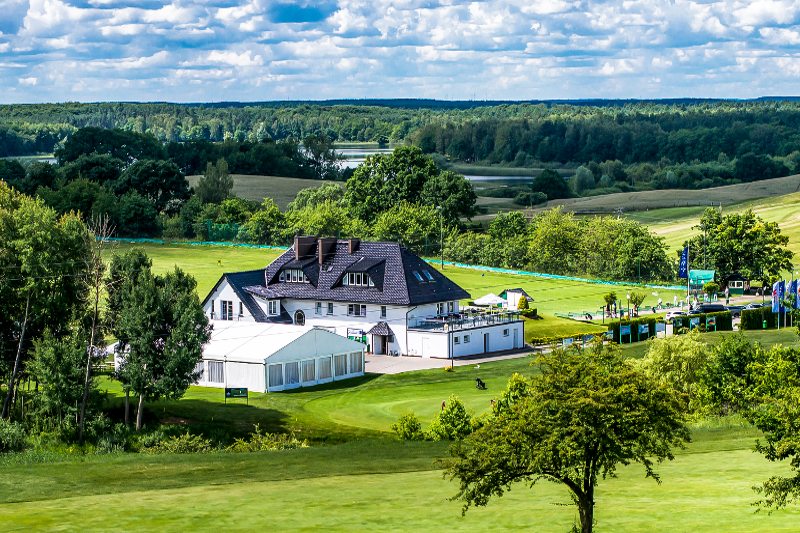 On the island of Wolin, located within the beautiful Wolniski National Park there is a quaint little village called Kołczewo, there you will find a superb golf complex of the highest quality. 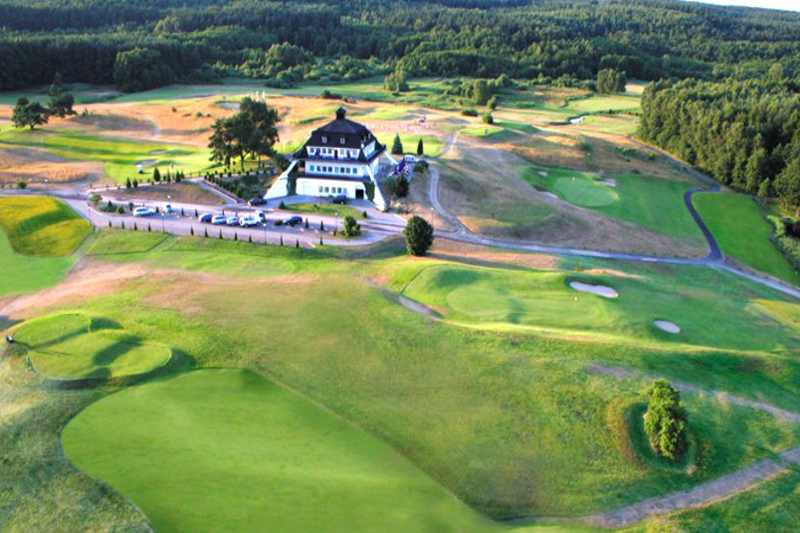 With the clean Baltic air and the beautiful landscape this is the ideal place to enjoy the game of golf and relax. 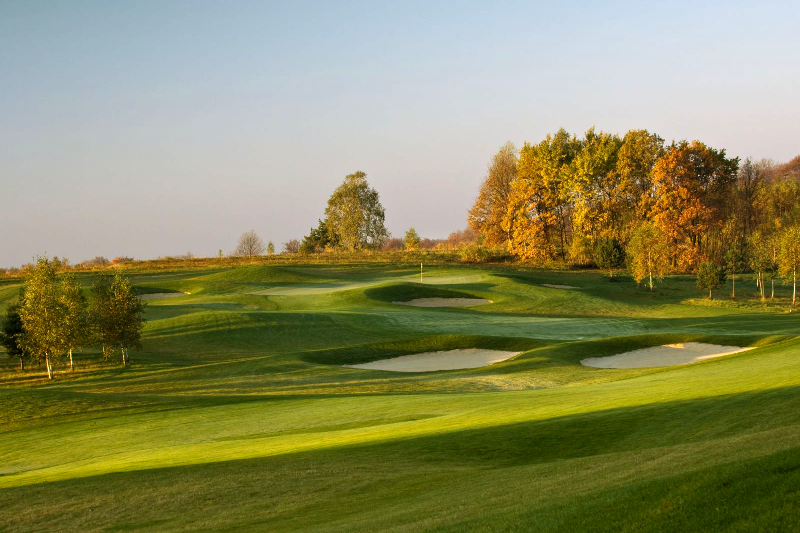 Amber Baltic Golf Club is one of Poland's oldest golf courses . 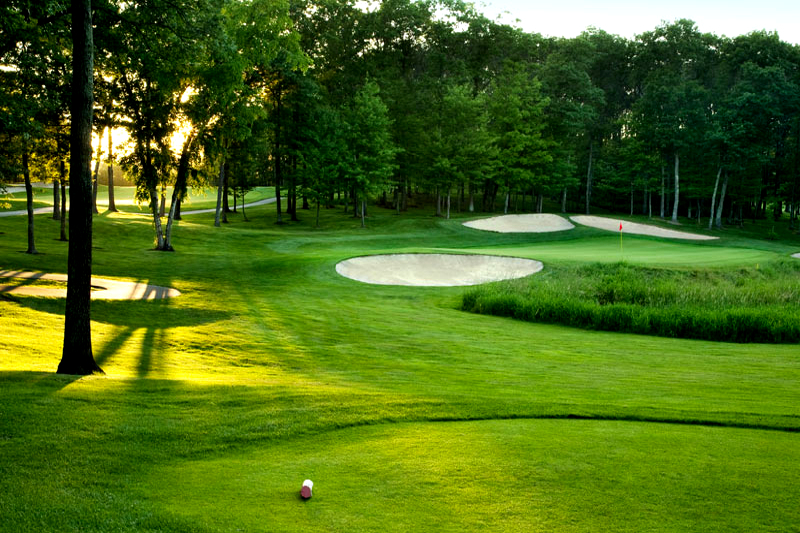 The 27 holes are a real challenge for professionals and amateurs alike. 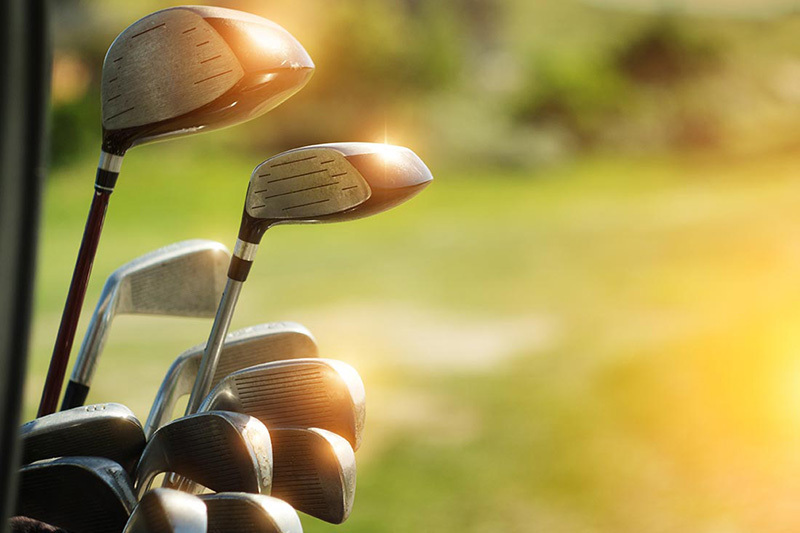 Amber Baltic Golf Club was founded in 1993 and has been a host of various international tournaments such as: International European Amateur Ladies Championship 2000, European Boys Team Championship 2001, EGA Challenge Trophy Boys 2005, PGA Challenge. 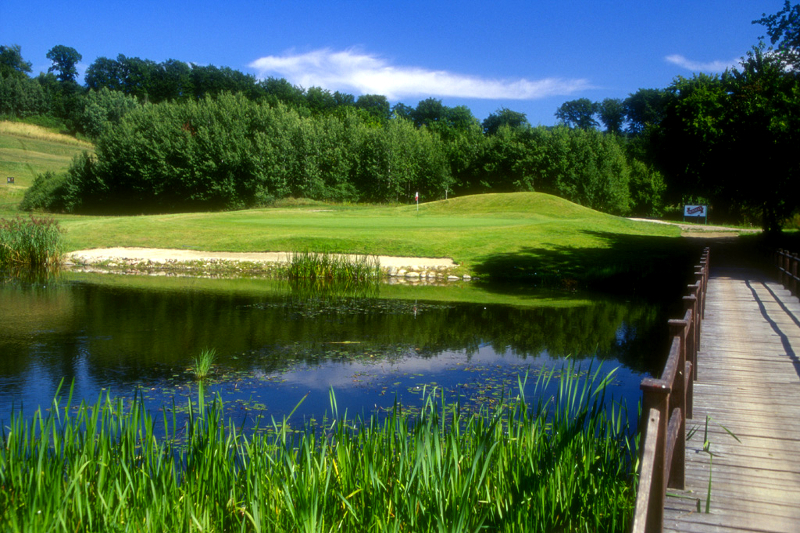 Binowo Park Golf Club is one of the most popular Golf Courses in Poland. 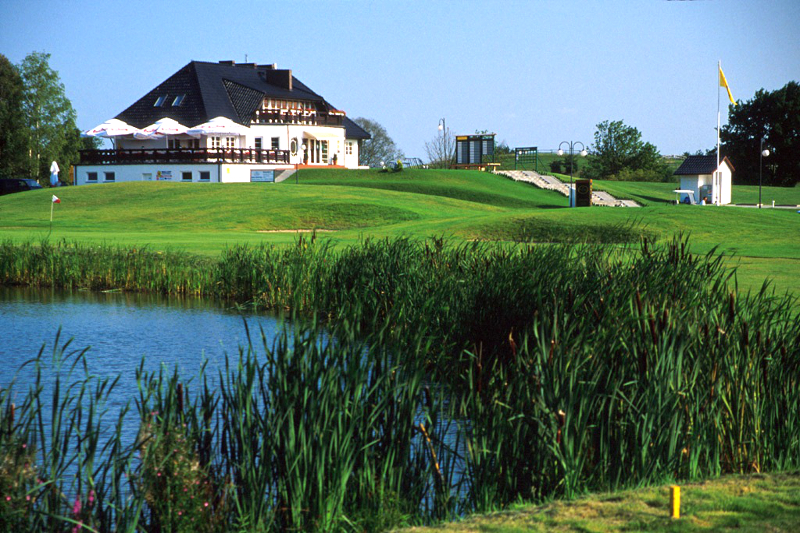 Located just twenty minutes from Szczecin city centre, it is the perfect place for your Polish Golf Vacation. 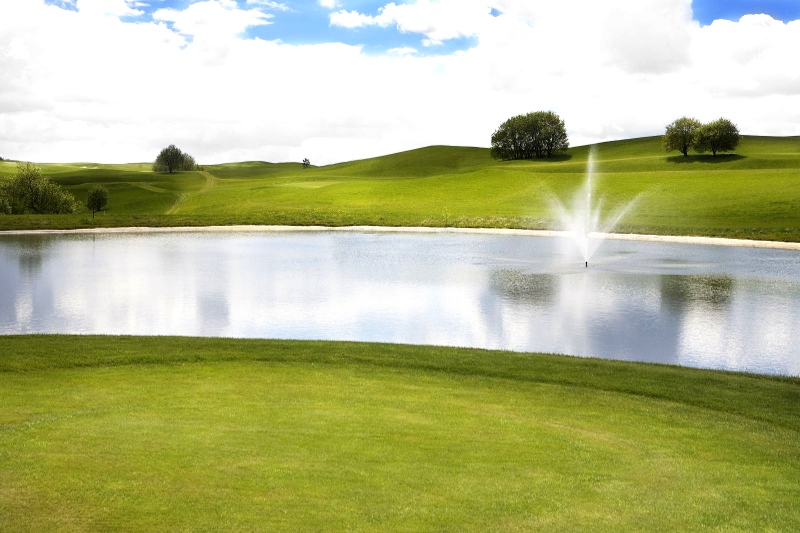 The 18-hole course is open for play since 1st of August 2000. The design is based on natural beauty of Szczecin Landscape Park in Binowo. Beautiful views from the hills on the front 9 and natural water hazards on the back 9 are breath-taking! 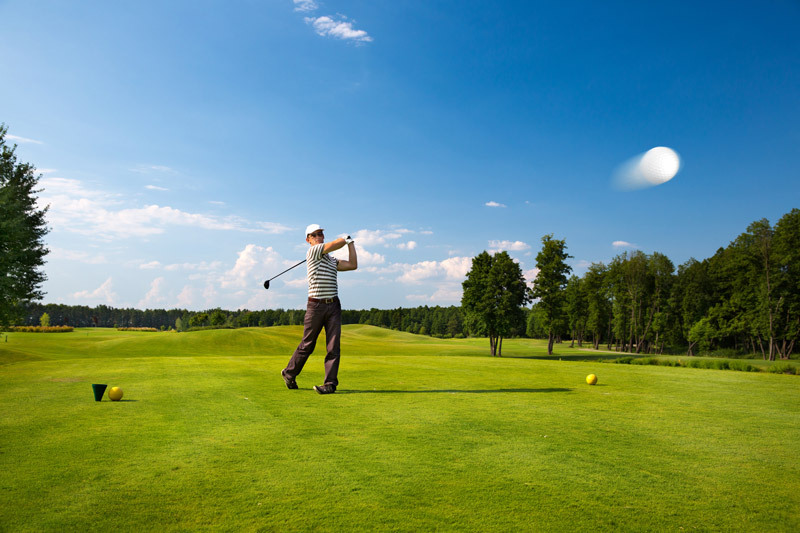 Many golf experts were consulted to make the course attractive for beginners as well as advanced players.